The Battle of Arras was a British offensive during World War I. 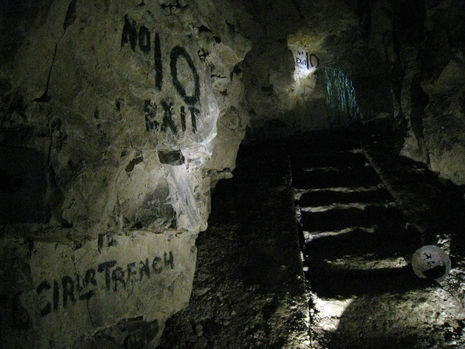 From 9 April to 16 May, 1917, British, Canadian, and Australian troops attacked German trenches near the French city of Arras on the Western Front. For much of the war, the opposing armies on the Western Front were at a stalemate, with a continuous line of trenches stretching from the Belgian coast to the Swiss border. 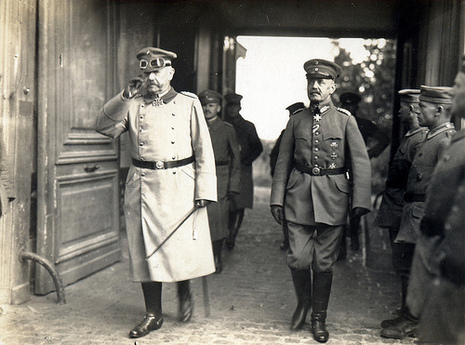 In essence, the Allied objective from early 1915 was to break through the German defences into the open ground beyond and engage the numerically inferior German army in a war of movement. 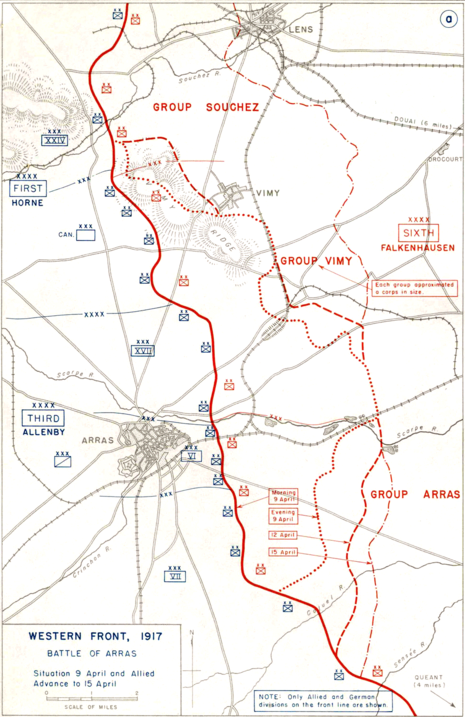 The Arras offensive was conceived as part of a plan to bring about this result. It was planned in conjunction with the French High Command, who were simultaneously embarking on a massive attack (the Nivelle Offensive) about eighty kilometres to the south. The stated aim of this combined operation was to end the war in forty-eight hours. At Arras, the British Empire's immediate objectives were more modest: (1) to draw German troops away from the ground chosen for the French attack and (2) to take the German-held high ground that dominated the plain of Douai. Initial efforts centred on a relatively broad-based assault between Vimy in the northwest and Bullecourt in the southeast. After considerable bombardment, Canadian troops advancing in the north were able to capture the strategically significant Vimy Ridge, and British divisions in the centre were also able to make significant gains. Only in the south, where British and Australian forces were frustrated by the elastic defence, were the attackers held to minimal gains. Following these initial successes, British forces engaged in a series of small-scale operations to consolidate the newly won positions. Although these battles were generally successful in achieving limited aims, many of them resulted in relatively large numbers of casualties. When the battle officially ended on 16 May, British Empire troops had made significant advances, but had been unable to achieve a major breakthrough at any point. Experimental tactics—for instance, the creeping barrage, the graze fuze, and counter-battery fire—had been battle-tested, particularly in the first phase, and had demonstrated that set-piece assaults against heavily fortified positions could be successful. This sector then reverted to the stalemate that typified most of the war on the Western Front. Near Arras our troops leapt to the attack in the midst of such artillery fire as the world has never seen. It was accompanied by an onslaught of strange engines of war, while overhead, as soon as the clouds allowed, our aeroplanes, moving at 130 miles an hour, rushed to tackle any German machines they could find.